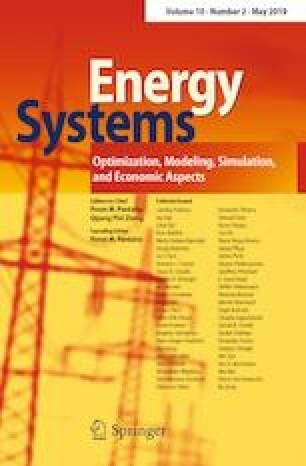 This paper presents a combined scheme for solving optimal distributed generation (DG) placement and reliability assessment problem of distribution network. This has been solved through meta-heuristic based novel Modified Gbest-guided artificial bee colony (MGABC) optimization algorithm for the purpose of power loss reduction, index of voltage stability (IVS) improvement and voltage level enhancement. In addition to that, it also identifies the optimal values of rate of failure and time of repair of various distribution lines for enhancement of distribution reliability. Therefore to achieve these proposed objectives, three multi-objective functions are formulated. First multi-objective function is formed by combining purchased active power cost from grid, power loss cost, DG installation cost, DG operation and maintenance (O&M) cost, reliability cost, IVS and total voltage deviation. Second objective function is reliability based cost function with the consideration of DG units and the third one is comprehensive multi-objective function associated with first and second objective functions for solving DG placement and reliability enhancement problem simultaneously. The proposed problem is demonstrated on 8-bus distribution system. Obtained numerical outcomes illustrate that, simultaneous solving DG placement problem and reliability enhancement problem leads to reduction of total operating cost, total voltage deviation, power loss and improvement in IVS significantly. Furthermore, the results obtained through MGABC optimization algorithm are compared to other intelligence technique for highlighting the capability and superiority of proposed methodology. Equivalent rate of failure and time of repair. Total rate of failure and repair time of a load point. Rate of failure and time of repair of DG. Rate of failure and time of outage for parallel arrangement of DG and a network. Rate of failure and time of service restoration of manual switch. See Tables A.1, A.2, A.3, A.4.